Marketing Calculator uncovers the components of driving increased marketing effectiveness and can be applied to just about every industry and marketing challenge. It demystifies how marketers can significantly improve their measurement and management infrastructure in order to improve their return on marketing effectiveness and ROI. They will be able to significantly improve their tactical and strategic decision-making and finally be able to respond to John Wannamachers’ “half of my advertising is wasted; I just don’t know which half.” With this in hand, they will be able to avoid the budget cutting ax, become a critical component of corporate success and enhance their careers. The Marketing Effectiveness Framework to help marketers talk the talk of marketing effectiveness within marketing and with the C-Suite. The Marketing Effectiveness Continuum to help marketers understand the organizational issues and change management associated with delivering long lasting enhanced marketing effectiveness. The Marketing Accountability Framework to help marketers begin to collect data that is meaningful to improving their marketing effectiveness and to become accountable for their results. It is one of the only marketing books covering the topic at a global level. It includes a great number of specific case studies from North America, Asia, Europe and Africa. The cases cover the following industries: Telecommunications, consumer packaged goods, home repair services, travel, utilities, software, restaurants, alcoholic and non-alcoholic beverages and others. It can also be used to support marketing education at the university level. Whether the reader is a marketer, business analyst, C-level executive, this book will help them to understand the key issues surrounding the measurement of marketing effectiveness. More than that however, is how each of the concepts can be directly applied to their marketing environment. Each of the concepts are applied to the different types of businesses (business-to-business, OEM, consumer, NGO and others) so they can quickly make them actionable. 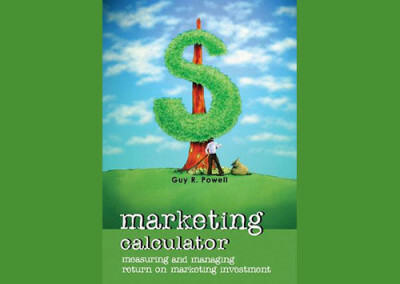 If you want to measure and improve your marketing effectiveness, Guy Powell offers the best guidance. 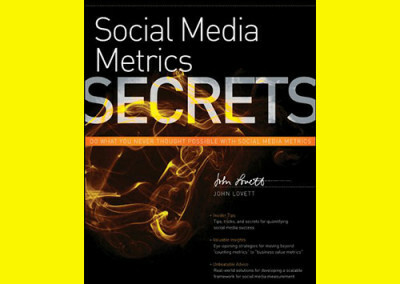 His new book shows how you can obtain and analyze data and adjust your marketing mix to optimize your performance. 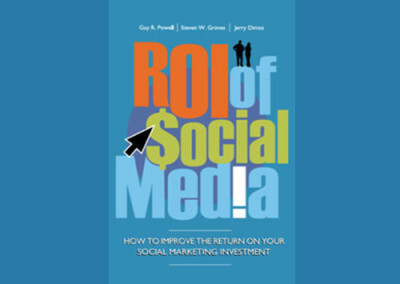 The book’s cases richly illustrate that marketing measurement and optimization is possible. 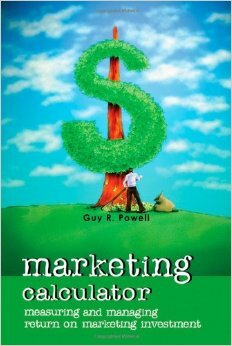 With this book effective marketing becomes a learnable skill with clear rules. Guy Powell provides an excellent road map for practitioners that need and want to bring much more transparency into their every day decisions in marketing. A must read! Guy Powell has taken a tough topic and turned it into a series of manageable and doable steps. The wealth of case studies-from the simple to the complex-from around the world shows how marketing measurement and accountability can be applied in any category, business and region. It’s about time. 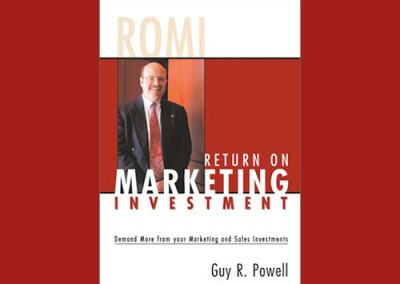 Guy Powell’s research unlocks the mystery behind driving ROI in marketing. His well-researched concepts are illustrated through excellent case studies that will help marketers improve their strategies, grow sales faster and get more for every marketing dollar spent. Guy Powell has done a great job demystifying the concept of using analytics to drive business results. he provides a very complete ‘conceptual framework’ of key analytic processes and methods-providing a wide variety of case studies that makes it easy to envision how each key business function would apply to these approaches. Guy also does a very effective job of explaining the more technical aspects of statistics and analysis in terms that are actionable to both researchers and business people alike.